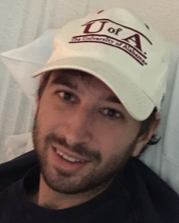 Judsen R. “Judd” Cunningham age 32, of Destin, Florida passed away on Thursday, January 31, 2019. He was born on June 9, 1986, in Galveston, Texas. His parents are J. R. Cunningham, Kent and Sara Thomas. He had been a resident of the local area for the past 30 years moving here from North Alabama. He was very talented and primarily worked as a carpenter in the Building field. “Judd” loved the out of doors and enjoyed them with his son Ross. They especially enjoyed Trail Biking and being around family and friends. Judd had a good heart and loved being with his friends. Judd will be loved and missed by all that knew and loved him. He was preceded in death by his Grandparents; Survivors include his Loving Mother Sara and Step Father Kent Thomas and Father John R. Cunningham. His son Ross Cunningham and Brothers and Sisters. A Celebration of Life will be held at the Berea Baptist Church 16779 Lucas Ferry Rd. Athens, Al. 35611 on Tuesday, February 5, 2019 at 3:00 p.m. with Dr. David Thompson Officiating.